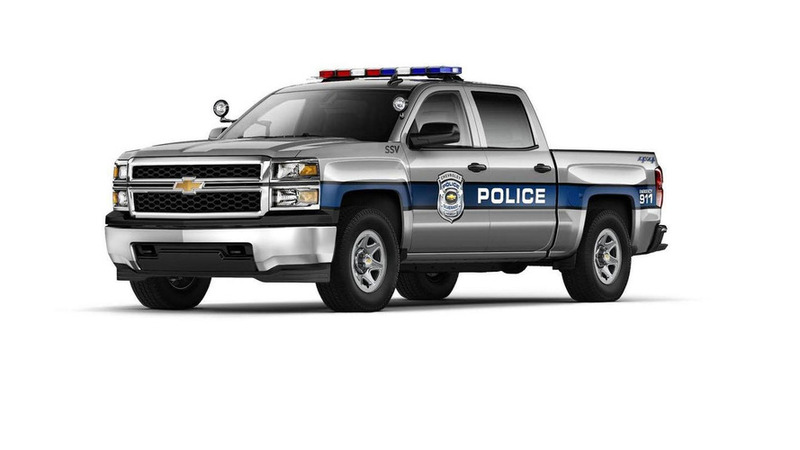 Chevrolet has unveiled the 2015 Silverado 1500 Crew Cab Special Service Vehicle (SSV), ahead of its launch this summer. 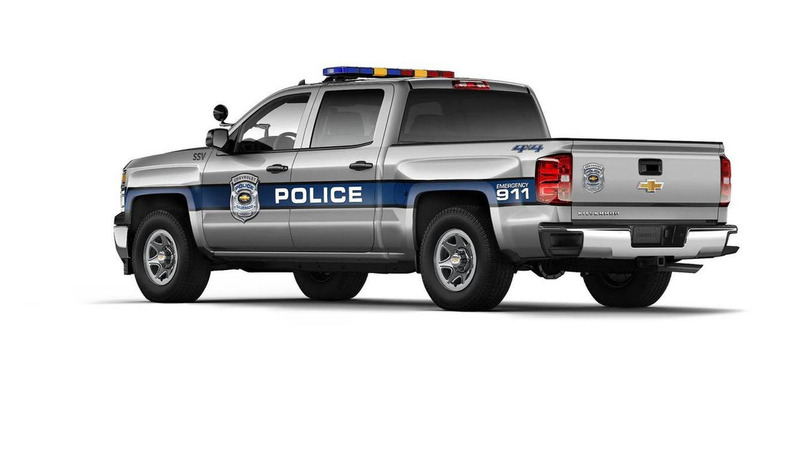 Designed for police use, the Silverado SSV closely echoes the standard model but has been equipped with auxiliary transmission oil cooler, a high-output alternator and four upfitter switches. The model also has a 110-volt outlet and an auxiliary battery which can power everything from emergency lights to computers. Options include a spotlight, a head- and taillight flasher system, a rearview camera and a "common key" that allows municipalities to use one key to operate all of their Silverado SSVs and Tahoe PPVs. Power is provided by a 5.3-liter EcoTec3 V8 engine that develops 355 bhp (264 kW) and 383 lb-ft (518 Nm) of torque. Rear-wheel drive will be standard, but four-wheel drive will be optional.